Following on from our 2015 American Society of Cinematographers (ASC) Technology Committee progress report, we have been proactively engaged with several key technology developments shaping our motion imaging future. Prominent among these are high dynamic range (HDR), digital cinema laser projection, and wide color gamut (WCG) beyond both BT.709 and DCI P3. The rapid advance of HDR being deployed for ultra-highdefinition (UHD) television (TV) consumer displays, including the proposed BT.2020 WCG, has raised urgent questions regarding standards-based implementation, which filmmakers need to support their creative intent and ensure consistent display quality across multiple content distribution platforms. The release of the Academy Color Encoding System (ACES) 1.0 has encouraged wider industry adoption of this crucial standards-based color management system that supports filmmakers’ creative use of WCG with HDR and defines an important new expanded creative canvas. The following reports from our subcommittees cover in detail the crucial work being done to address the array of motion imaging technology developments that are impacting the art of filmmaking. 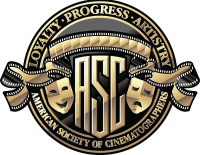 The ASC Technology Committee is guided by its primary mission to engage and influence motion imaging technology developments in ways that better serve and protect the filmmaker’s creative intent and the role of the cinematographer in realizing a creative vision that best serves that creative intent. I would like to thank all those who devote their time and expertise to support the mission of the ASC Technology Committee.